In celebration of Home Movie Day, we are showcasing some of the fabulous home movie footage which can be found on Europeana, the principal online location for Europe’s cultural heritage. EUcreenXL content, along with material from Europe’s leading galleries, libraries, archives and museums, can be found as part of this online heritage collection. There are now over 500,000 items of EUscreenXL content to be found on Europeana and recent weeks have seen some exciting new material being made available. One of EuscreenXL’s newest partners, Screen Archive South East (SASE) holds a vast range of moving image which relates to life in the South East of England. The majority of their holdings are amateur footage, captured by families and by early film clubs and societies. Explore the 145 SASE clips and 232 stills contributed so far to Europeana and discover amateur films of bowls, croquet and lawn tennis from the 1920s, early footage of the fire brigade from the late 1930’s, and a town fete from a small Sussex town to celebrate the coronation of Queen Elizabeth II in 1953. 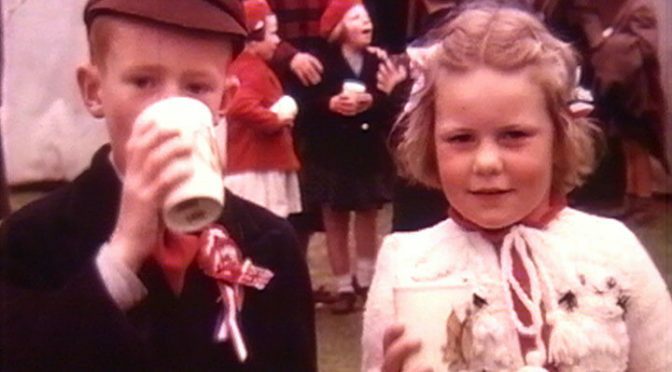 There are also items which highlight the lives of individual families, with these home movies offering an insight into ordinary day-to-day life in Britain from years gone by. See images of the Staley family on the beach at Bognor Regis in the 1920s, compiled clips of family life created by Joseph Emberton in the late 1930s, and a wedding filmed in colour from 1961. This treasure trove of amateur movie footage captures everyday events and occasions throughout the 20th Century, documenting the lives of ordinary people in Britain. Explore these clips and many more in the EUscreenXL collection on Europeana. We wish you a happy home movie day!